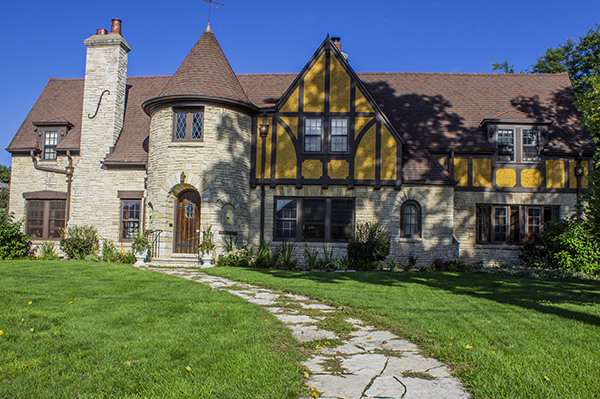 Columbus, Wisconsin features dozens of homes and businesses on the national historic registry. Of note are the Governor Lewis Mansion, the Jewel Box Bank by Louis Sullivan and Frank Lloyd Wright’s Arnold House. The entire downtown is in a historic district and was a filming location for Public Enemies﻿ staring Johnny Depp. Two courses, 27 holes, endless challenge. Golf is Columbus’ game. Pick between the historic and challenging Columbus Country Club and the open and modern Kestrel Ridge. Both courses are well maintained and ready to offer you a rousing round or two. With five antique stores in the downtown, as well as the state’s largest antique mall, Columbus is an antiquer’s paradise. The Columbus Antique Mall is 78,000 square feet with over 400 booths and 200 dealers. Bring bread crumbs or you will lose yourself in the 18 treasure-filled rooms. Unique shopping opportunities abound in Columbus. My Guest Room is a knick-knack oasis. The Painted Crate’s reclaimed furniture is all one-of-a-kind. Secret Garden Floral lives up to its name by featuring a gorgeous indoor display. All of these and more are waiting for you. The Columbus Area Aquatic Center is a miniature water park complete with splash pads, diving board and water slides. Wade in from a shallow end that starts at zero depth and gently slopes to 12 feet. The pool is massive and gives everyone space to swim, play and relax. Book your dream stay-cation today!